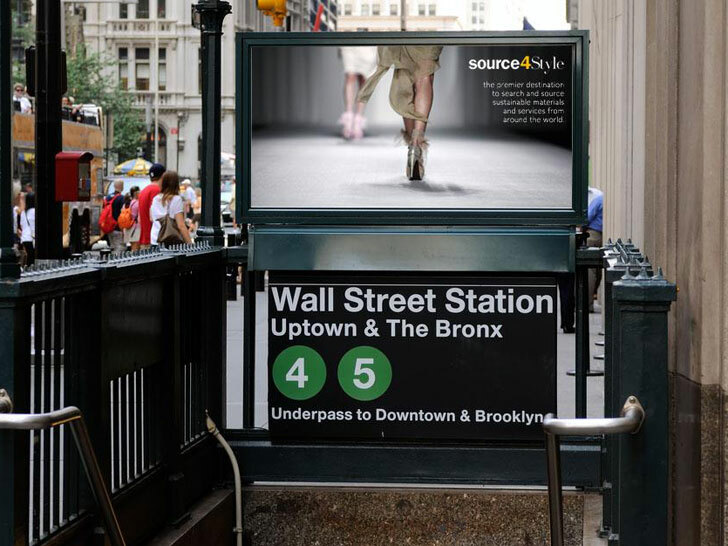 As the first trends-driven global-sourcing marketplace for the fashion industry, Source4Style knows fabric. 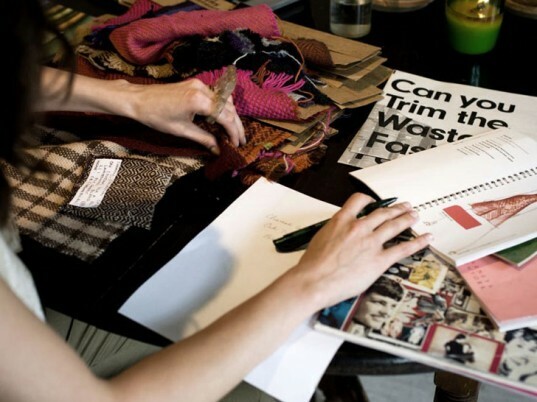 To celebrate the 2.0 version of its website, co-founder Summer Rayne Oakes has compiled a list of sourcing tips for emerging designers, particularly those with a yen for sustainability. “Despite the rise of online solutions to fashion commerce, the $400 billion market for materials sourcing remains offline and fragmented,” says Oakes. 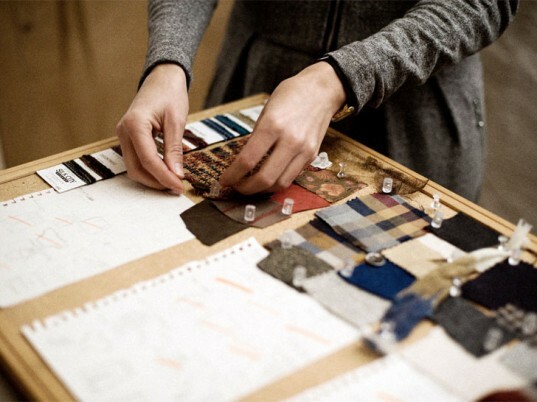 “Design and apparel brands want to come to a place where they are inspired, where they can discover new trends. Most don’t want to purchase the material for their upcoming collection in the same place they can source coffee beans or machine parts." 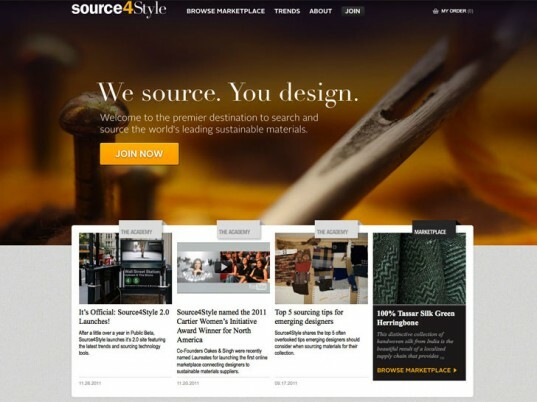 Source4Style seeks to change all offering designers a curated selection of materials through comprehensive search tools and trend reports. Plus, the first 25 Ecouterre readers to use the code 25TERRE100 at checkout will get $100 off an annual Premium Level Membership and $25 in free swatches. While you can still find locally manufactured materials in the United States, Canada, and Europe, they’re generally isolated in small pockets with limited options. Sourcing materials internationally, on the other hand, can yield a number of great finds from handwoven silks to khadi cottons. Global sourcing does come with its challenges, however. There is the consideration of customs duties and taxes for certain products, for instance. It’s also not uncommon to experience delays going through customs, so factor in an additional three to 10 days’ worth of wriggle room for international shipments. 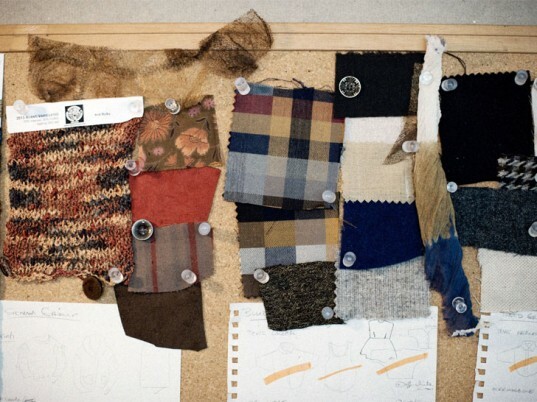 Think of swatches as the samples before the sample yardage. They are a critical component to any designer’s creative process, serving as material inspiration for upcoming and future collections. By examining a swatch up close, you can get a keen sense of the fabric’s quality, color, and hand before you commit to a sample or production yardage. It’s also often difficult to gauge what a material truly looks like on the computer screen—no matter how good the photography might be. Choice of lens, differences in lighting, and computer color settings will affect how a material looks online, so be sure to get a swatch beforehand to make sure it’s exactly what you want. You may have heard about “production yardage minimums,” but it’s important to note that “sampling yardage”—or the yardage that is often sampled prior to placing a production order—often has minimums or cutting fees, as well. Designers may not think this is a big deal, but for suppliers who have hundreds of SKUs of material and hundreds of requests for small orders, the result may be thousands of yards of material that go to waste. Keep this information in mind when you’re purchasing sampling yardage and accept that the supplier may charge a cutting fee or require a down payment as a guarantee that you’ll purchase the remainder. “Greige” goods refer to raw fabric before it undergoes dyeing or bleaching. Greige goods vary slightly from PFD (prepared for dyeing) or PFP (prepared for printing) fabrics. In the case of PFD and PFP materials, a minute amount of chemicals and processing are used to ensure that the dye takes well to the fabric. If you’re planning on using the same material for seasons to come, consider purchasing greige goods of PFD/PFP fabrics that you can dye yourself or through a professional dye house. It’s a smart investment because the materials either cost less upfront or they can be purchased in larger quantities at a lower price per yard. If you’re confident in your skills and your ability to make initial product sales, you should feel confident in making an investment towards the material you purchase for your collections. The story and quality of material, almost as much as the finished garment itself, can get you noticed, particularly if you’re competing with mainstream brands and other independent designers. In an industry defined by how many seasons-old a collection is, a smart, upfront investment can make all the difference for a new designer looking to make a name for yourself. While you can still find locally manufactured materials in the United States, Canada, and Europe, they're generally isolated in small pockets with limited options. Sourcing materials internationally, on the other hand, can yield a number of great finds from handwoven silks to khadi cottons. Global sourcing does come with its challenges, however. There is the consideration of customs duties and taxes for certain products, for instance. It's also not uncommon to experience delays going through customs, so factor in an additional three to 10 days' worth of wriggle room for international shipments. 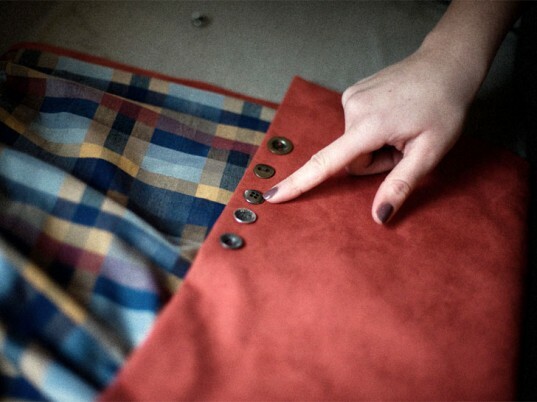 Think of swatches as the samples before the sample yardage. They are a critical component to any designer’s creative process, serving as material inspiration for upcoming and future collections. By examining a swatch up close, you can get a keen sense of the fabric's quality, color, and hand before you commit to a sample or production yardage. It's also often difficult to gauge what a material truly looks like on the computer screen—no matter how good the photography might be. Choice of lens, differences in lighting, and computer color settings will affect how a material looks online, so be sure to get a swatch beforehand to make sure it’s exactly what you want. You may have heard about “production yardage minimums,” but it’s important to note that “sampling yardage"—or the yardage that is often sampled prior to placing a production order—often has minimums or cutting fees, as well. Designers may not think this is a big deal, but for suppliers who have hundreds of SKUs of material and hundreds of requests for small orders, the result may be thousands of yards of material that go to waste. Keep this information in mind when you're purchasing sampling yardage and accept that the supplier may charge a cutting fee or require a down payment as a guarantee that you'll purchase the remainder. You'll notice that materials are often listed as “in stock” versus “made to order." Made to order implies that the material needs to be produced upon ordering and is not inventoried or warehoused, which often translates to higher minimums and longer lead times (i.e., two to six weeks). Because of that, made-to-order materials are usually less accessible to emerging designers. It's important to note, however, that in-stock materials are in great demand and will often sell out quickly, depending on popularity of the style. That's something to take into consideration if you're purchasing sampling yardage with the intent to pick up the production yardage a month or two later. Designers purchasing in-stock material that's no longer available will have to wait for the material to be reordered or, alternatively, choose a different material altogether. "Greige" goods refer to raw fabric before it undergoes dyeing or bleaching. Greige goods vary slightly from PFD (prepared for dyeing) or PFP (prepared for printing) fabrics. In the case of PFD and PFP materials, a minute amount of chemicals and processing are used to ensure that the dye takes well to the fabric. If you're planning on using the same material for seasons to come, consider purchasing greige goods of PFD/PFP fabrics that you can dye yourself or through a professional dye house. It's a smart investment because the materials either cost less upfront or they can be purchased in larger quantities at a lower price per yard. If you're confident in your skills and your ability to make initial product sales, you should feel confident in making an investment towards the material you purchase for your collections. The story and quality of material, almost as much as the finished garment itself, can get you noticed, particularly if you're competing with mainstream brands and other independent designers. In an industry defined by how many seasons-old a collection is, a smart, upfront investment can make all the difference for a new designer looking to make a name for yourself.